Being able to export and import your user data means you can archive your branding styles and logos (Image Brander), Export to PSD settings, My Designs and user settings. You can also import these settings on another computer. Under the Edit menu, choose Export/Import User Data. 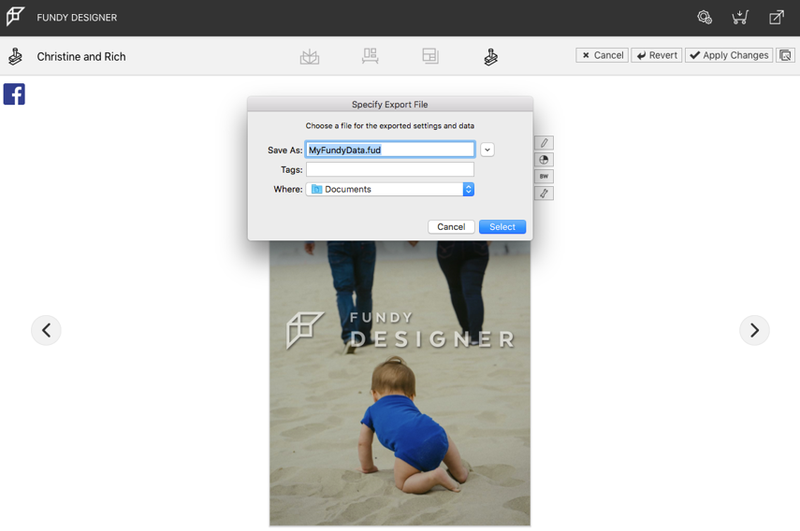 Once you choose to export your user data, you'll be prompted to choose a save location for your MyFundyData.fud file. 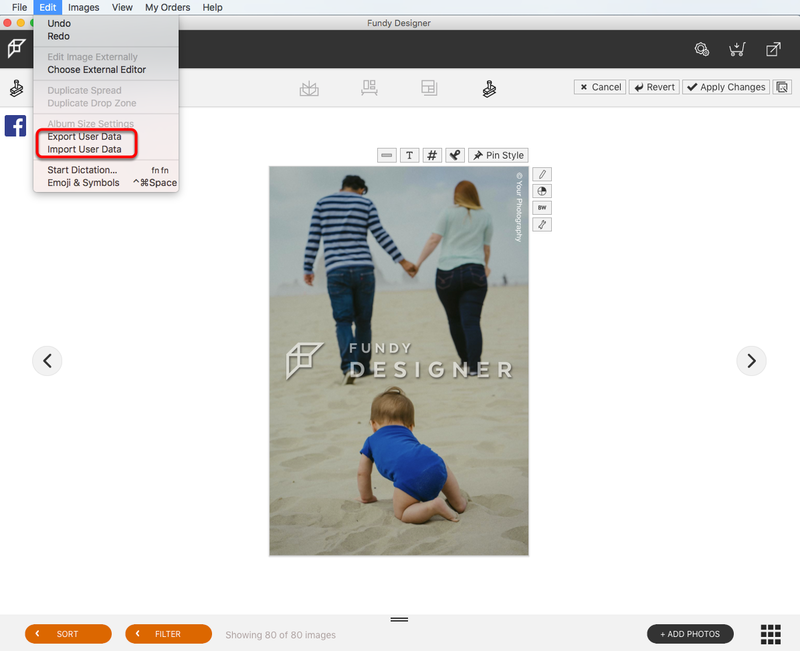 If you need to bring those settings back into Fundy Designer, you'll repeat this process in reverse. Go to the Edit menu and select Import User Data and locate your MyFundyData.fud file.